After spending more than four decades studying the ancient Indian practice, Gerry Lopez is as qualified as they get when it comes to discussing yoga’s benefits for surfing. As it turns out, taking your cutback to the next level could be a Bikram class away. The learning curve is so steep in surfing that if you’re not fully tuned in to your surroundings and completely focused on what’s happening around you in the lineup, you’re going to fail. I’ve been surfing for 55 years and I’m still learning. But I do know that if you can find your focus and clear your mind, you’ll progress more. That’s a part of the reason I think young people have such a higher success rate than older people in the sport. They’re able to clear their minds when they’re in the water. The older you get, the more your mind gets filled with all of the little things and it becomes increasingly hard to just focus on the moment and what’s in front of you. Back in the day at the Pipeline, if it got too loud and I couldn’t focus, I’d tell people “Hey, no talkin’ in the lineup.” When you’re surfing waves like that, you have to be tuned in. Learning how to breathe properly is really important. It’ll calm you down when you’re stressed, relax your body, and tighten your focus. These are all things you want to be doing when you’re surfing. Breathing is the first thing we do in this life. When done properly, breathing can really contribute positively to your overall health. But so many of us forget how to breathe. We become mouth-breathers and take really short, shallow breaths. When you breathe like that, you’re not getting the oxygen you need and you won’t be performing at your highest level. You could spend a lifetime studying how to breathe properly, but here’s a few quick points to keep in mind: Keep your mouth closed, and breathe in deeply and slowly through your nose. Let your breath fill your entire lungs and then exhale slowly. I’ve been practicing yoga since I was 19 years old. Back in the day, with the generation of guys that came before me, surfers weren’t really viewed in the best light by society. They slept in their cars, surfed all day, didn’t always work and would eat just about anything they could find. 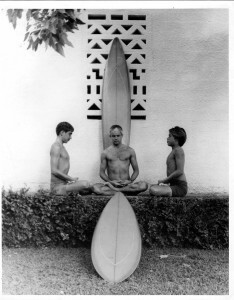 But then, in the ’60s, that began to change as surfers gravitated toward a lifestyle that had a lot of similarities to yoga. We started to care about our bodies and minds, and we began to exercise. 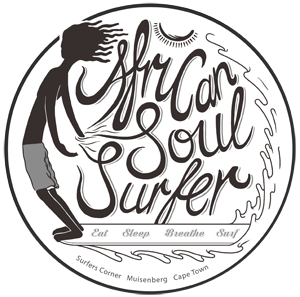 So today, a lot of the values we have as surfers are really in line with that of yoga. I’d say yoga changed surfing. The benefits that yoga can have on surfing are pretty far-reaching. Whether it’s through strength, flexibility, or simply just breathing better—all these things are pretty damn important in surfing, right? Look at Greg Long. He’s been studying yoga for some time now and I think it’s helped save his life. I think the way he was able to stay calm at Cortes after that wipeout serves as a pretty good example. When you’re facing some bad situations, being able to stay calm and relaxed is crucial and yoga can only strengthen you there. If I had to recommend a method for someone looking to get the most benefits from yoga in a short time, I’d say to go with Bikram. It’s a hot yoga, so the classes are taught in a room that’s heated to 105 degrees and last 90 minutes. There are 26 poses that are taught and the actual classes are really geared toward results. Other forms can take months until you start feeling the effects, but with Bikram, you should start to feel a difference in your body and mind after just a few classes. You should feel a bit stronger, more flexible, and focused if you’re working on proper breathing. With any luck, you may start surfing better, too.